ISLAMABAD: In a rare occurrence, two former prime ministers met each other in an accountability court here on Monday while appearing in different references filed against them by the National Accountability Bureau (NAB). Both former premiers — Syed Yousuf Raza Gilani and Nawaz Sharif — were sacked by the Supreme Court in 2012 and 2017, respectively. 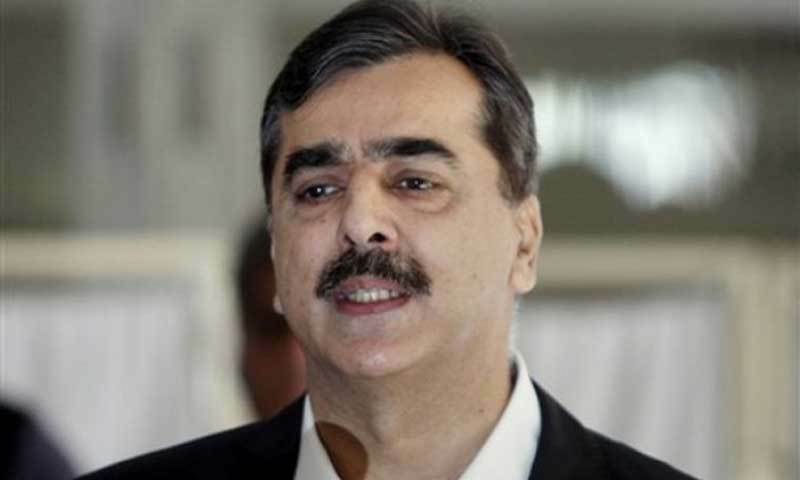 Mr Gilani, who belongs to the Pakistan Peoples Party (PPP), was removed by the apex court in a contempt of court case as he was reluctant to write a letter to Swiss authorities for reopening of graft cases against then president Asif Ali Zardari. Mr Sharif of the Pakistan Muslim League-Nawaz was removed from office for not declaring his un-withdrawn salary from his son’s foreign company in the nomination papers he submitted to the Election Commission of Pakistan. During their brief interaction, both leaders shook hands and inquired about each other’s health. On a query of Mr Sharif, Mr Gilani told him that he was also facing a NAB reference in this court. Mr Gilani termed it ironical that four elected prime ministers appeared in the accountability court. Without naming incumbent Prime Minister Imran Khan, he predicted that the fifth would be facing these courts in future. 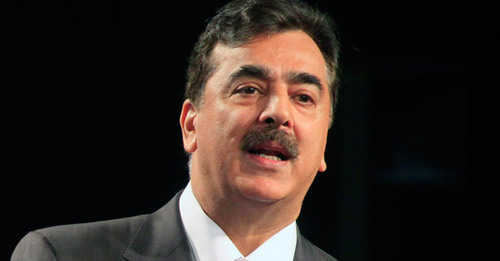 Reacting to a warning recently issued by PM Khan, Mr Gilani said the chief executive of the country should have not threatened the arrest of politicians. He said NAB must be an independent institution. In the courtroom when accountability court judge Arshad Malik resumed the proceedings against Mr Gilani, the prosecutor was not in attendance. Mr Gilani offered the judge to take up Mr Sharif’s reference first. 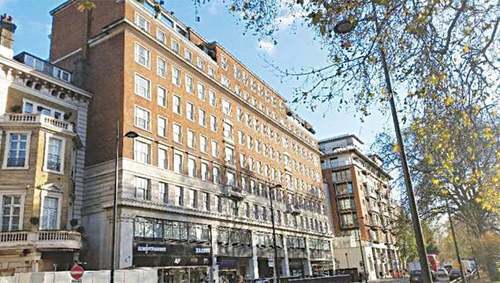 The judge remarked that it would take the entire day to proceed in the Flagship Investment reference against Mr Sharif. 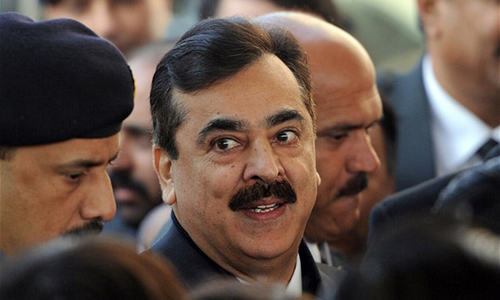 He, however, adjourned the proceedings in the reference against Mr Gilani till Nov 23. The star prosecution witness, Wajid Zia, on Monday shared details of the salary Mr Sharif received from the company of his son, Capital FZE. Mr Zia testified that two members of the SC-constituted Joint Investigation Team (JIT) had obtained the documents related to salary details, employment contract with Capital FZE, a firm owned by Mr Sharif’s son and a certificate of the Jebel Ali Free Zone Authority (Jafza) official. Mr Zia conceded that the JIT members did not prepare a recovery memo and a possession memo of the documents when these were being handed over to them by Jafza. The court adjourned the proceedings to Tuesday (today). Substandard person a grand looter of my Pakistani people. Sir Ex-PM you are right, but let Pak Nation must know how much money you took from book and get right off this huge amount. Thanks if you inform nation. To them, NAB working independently means letting them plunder the country and take no action! does he deserve to be on the front page ??? What Gallani doesn’t understand as ex PM but a common citizen does that when you steal national money you have to payback. Corrupt like his party chief zardari, Gilani is playing innocent. These looses should also be banned from issuing any statements about government policies. What’s also ironic is the one exPM (sharif) had a hand in the case that removed the other exPM (gillani). I wonder if they also got a chance to discuss that. He and his family was probably the most corrupt prime minister in the history of the country. Prosecutor not there and case adjourned for more than a month. In the case of Nawaz Sharif almost daily hearings. Isn’t it clear who is being targeted.